January 8, 1815, 200 years ago today, the British Empire was sentenced to oblivion. As Andrew Jackson killed the infernal Bank of the United States, a frustrated Congressman, opposed to Jackson, jotted down his thoughts. The first jot was draft of a resolution of impeachment against Jackson, throwing him under the BUS. The second jot characterized an incident from Jackson’s youth as a politically expedient fiction. Mr. Blair found that the wound had been far more serious than was supposed. He could lay a whole finger in the scar. Jackson earned the wound at age thirteen. The activity and zeal of the Waxhaw whigs coming to the ears of Lord Rawdon, whom Cornwallis had left in command, he dispatched a small body of dragoons to aid the tories of that infected neighborhood. The Waxhaw people hearing of the approach of this hostile force, resolved upon resisting it in open fight and named the Waxhaw meeting house as the rendezvous. Forty whigs assembled on the appointed day, mounted and armed; and among them were Robert and Andrew Jackson. In the grove about the old church, these forty were waiting for the arrival—hourly expected—of another company of whigs from a neighboring settlement. The British officer in command of the dragoons, apprised of the rendezvous by a tory of the neighborhood, determined to surprise the patriot party before the two companies had united. Before coming in sight of the church, he placed a body of tories, wearing the dress of the country, far in advance of his soldiers, and so marched upon the devoted band. The Waxhaw party saw a company of armed men approaching, but concluding them to be their expected friends, made no preparations for defense. Too late the error was discovered. Eleven of the forty were taken prisoners, and the rest sought safety in flight, fiercely pursued by the dragoons. The brothers…took refuge in a thicket, in which they passed a hungry and anxious night. The next morning the pangs of hunger compelled them to leave their safe retreat and go in quest of food. The nearest house was that of [their cousin, United States Army] Lieutenant [Thomas] Crawford. Leaving their horses and arms in the thicket, the lads crept toward the house, which they reached in safety. Meanwhile, a tory traitor of the neighborhood had scented out their lurking place, found their horses and weapons, and set a party of dragoons upon their track. Before the family had a suspicion of danger, the house was surrounded, the doors were secured, and the boys were prisoners. Jackson’s oldest brother Hugh had died a year earlier while fighting in the Battle of Stono Ferry. After their capture, Jackson and his older brother Robert caught smallpox. Their mother got them released but Robert died after only a few days. Jackson’s mother volunteered to nurse captured American soldiers imprisoned by the British in prison ships. She died of the cholera and was buried in an unmarked grave. At age 14, Jackson was an orphan. Understand this: Jackson hated the British. Hated. When he received word that the British had landed before New Orleans 34 years later, whatever else happened, Jackson’s thirsting heart must have leapt in his chest (carefully, for there was a bullet lodged next to it). There is on the globe one single spot, the possessor of which is our natural and habitual enemy. 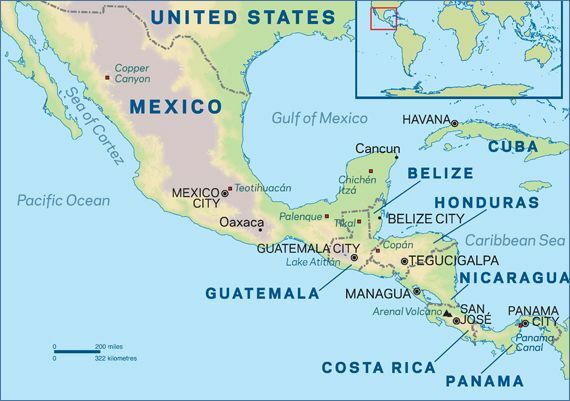 It is New Orleans, through which the produce of three-eighths of our territory must pass to market, and from its fertility it will ere long yield more than half of our whole produce and contain more than half our inhabitants. France placing herself in that door assumes to us the attitude of defiance. Spain might have retained it quietly for years. Her pacific dispositions, her feeble state, would induce her to increase our facilities there, so that her possession of the place would be hardly felt by us, and it would not perhaps be very long before some circumstance might arise which might make the cession of it to us the price of something of more worth to her. Not so can it ever be in the hands of France. The impetuosity of her temper, the energy and restlessness of her character, placed in a point of eternal friction with us, and our character, which though quiet, and loving peace and the pursuit of wealth, is high-minded, despising wealth in competition with insult or injury, enterprising and energetic as any nation on earth, these circumstances render it impossible that France and the U.S. can continue long friends when they meet in so irritable a position. They as well as we must be blind if they do not see this; and we must be very improvident if we do not begin to make arrangements on that hypothesis. The day that France takes possession of N[ew] Orleans fixes the sentence which is to restrain her forever within her low water mark. It seals the union of two nations who in conjunction can maintain exclusive possession of the ocean. From that moment we must marry ourselves to the British fleet and nation. We must turn all our attentions to a maritime force, for which our resources place us on very high grounds: and having formed and cemented together a power which may render reinforcement of her settlements here impossible to France, make the first cannon, which shall be fired in Europe the signal for tearing up any settlement she may have made, and for holding the two continents of America in sequestration for the common purposes of the united British and American nations. Circumstances and mosquitoes soon made Buonaparte’s designs for the Americas an unaffordable luxury. The sale of Louisiana to the United States the following year spared Jefferson from having to resort to something as distasteful as a British-American alliance. Yet that nation of shopkeepers had a heart always filled with avarice for shiny things that belonged to others. John Bull cast his covetous eyes on New Orleans and decided to take it. Britain wanted to deny freedom access to sea. As Buonaparte had been blown apart in 1814, Britain decided to double down on the pesky Americans and their contemptible little war to win the freedom of the seas by holding Canada and its trees, vital to keep Britain’s navy afloat, hostage. So it was that Edward Pakenham, brother-in-law of noted British general Arthur Wellesley, found himself at the head of a British army, many of them veterans of Britain’s war against Buonaparte in Portugal and Spain, facing an American fortification five miles south of New Orleans. They are well groomed, clean, stylishly dressed, and treat those around as inferior, be it at a Renaissance court or a slum. They are scruffy, dirty, dressed entirely from the used clothes discount pile, and act like boorish rabble. Beyond the superficial dichotomy this conflict is one of lifestyle and worldview. The Snobs are epicurean, refined, and educated — but classist and vain, while Slobs are honest, revelrous and dionysian — but violent and dangerous. As a narrative device, Slobs Versus Snobs is notable in that it rarely presents both sides equally. More often than not, the Slobs are presented in a far more sympathetic light than the Snobs.On the Sliding Scale of Shiny Versus Gritty, Snobs would be shiny and Slobs would be gritty. This mission is important. The fate of the battle, nay, the war, nay, the entire world rests on the outcome. Who has the capability to stick it out, to give the good guys the victory they desperately need? This calls for a special team. The group of experienced, highly skilled, professional, team-oriented experts? Not them. The assorted group of ex-con lowlife inexperienced jerk–es who are trying to off their commander when they aren’t going at each other? Yeah, them. Jackson’s force of 4,732 was made up of “968 US Army regulars, 58 US Marines, 106 seamen, 1,060 Louisiana Militia and volunteers (including 462 free people of color), 1,352 Tennessee Militia, 986 Kentucky Militia, 150 Mississippi Militia, and 52 Choctaw warriors”. And pirates. Real pirates. Real pirates led by a real pirate. Pirates of the Caribbean (or, at least, Barataria Bay). Preparation is un-American. Jackson’s force was thrown together at the last millisecond. It was made up of frontiersmen, pirates, civilians, and random passersby. Some were Anglos, some were French, some were black, some were Indians. Somehow they were going to hold off a veteran army led by veteran officers (or their relatives). It should have been a walkover. Instead, the Americans were treated to a parade of military ineptitude that rivals the comical defeat of a “legion” of the Galactic Empire’s “best troops” by a Wookie and some spear-wielding teddy bears on the Moon of Endor 4 years after the Battle of Yavin. Jackson did once describe an enemy fortification thus. But it was the Red Sticks’ fort at Horsehoe Bend he was describing and the British were on their way to being the stooge in another Andrew Jackson special: uncertain and tense beginning of a battle followed by walkover and then massacre of the enemy. The Red Sticks started well but eventually Jackson’s forces, attacking instead of defending a line, overwhelmed the Red Sticks. The Red Sticks lost 857 killed and 206 wounded out of a force of about 1,000 warriors. For the British, it wouldn’t quite be Flanders Fields but the shade of Passchendaele overshadowed the battlefield. Prophecy soaked the mud and bogs of the Dead Marshes of Louisiana. The British attempted a frontal assault on the American fortifications. Scaling ladders were misplaced. Fascines were left behind. Men got stuck crossing canals or bogged down in the swampy ground. Formations became confused. Veteran soldiers milled around like clueless n00bs. American regulars joined with the pirates to man the artillery and pour grapeshot into confused masses of redcoats. British officers, from Pakenham down, were shot and killed by American grapeshot and marksmen as they tried to bring order out of black comedy. While other men stood behind the breastwork and loaded their rifles, American riflemen would aim, fire, and hand the empty rifle behind them in exchange for a loaded rifle, achieving rapid fire. The few British solders who made it on top of the American breastworks were killed easily. At the end of the day, the British had 2,042 casualties: 291 killed (including Generals Pakenham and Gibbs), 1,267 wounded (including General Keane) and 484 captured or missing. The Americans had 71 casualties: 13 dead; 39 wounded, and 19 missing. Those who were intimately acquainted with Andrew Jackson, and they alone, can know something of the feelings of the youth while the events of this morning were transpiring; what paroxysms of contemptuous rage shook his slender frame when he saw his cousin’s wife insulted, her house profaned, his brother gashed, himself as powerless to avenge as to protect. “I’ll warrant Andy thought of it at New Orleans.“, said an aged relative of all the parties to me in an old farm house not far from the scene of [that] morning’s dastardly work. And Poodle Nation learned, forever as it turned out, to never fight the plucky underdog. Underdogs never lose. Especially with the pirates of Andrew Jackson at the guns. Often on weekends my wife allows me to tag along as she takes in area estate sales. She’s interested in vintage furniture, and I hope for a decent collection of books. 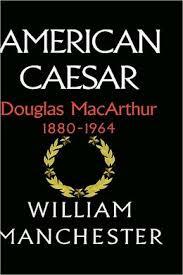 A sale we visited a couple months ago had very few books, but of those few was a hardback copy of American Caesar. I purchased the copy for $1 and mentioned to my wife, “I’ll get to this again someday…” as I’d first read Manchester’s classic biography of General Douglas MacArthur in the early 1980’s while stationed on my first submarine. “Someday” started on the car ride home (she was driving), and I must admit: American Caesar was even better thirty years later. Manchester is a masterful biographer, and equal to the task of such a larger-than-life subject. MacArthur still evokes passion among admirers and detractors. One take-away from the second reading was just how well-read MacArthur and his father were. When MacArthur the elder died, he left over 4,000 books in his library—both seemed to possess an encyclopedic knowledge of history and warfare. Highly recommended. PS: I visited the MacArthur Memorial, in Norfolk, Virginia, recently while in town for business and would recommend as well.